The Mercedes-AMG G 63 6×6 is an intimidating car. A Mansory tuned G 63 6×6 is even more so. 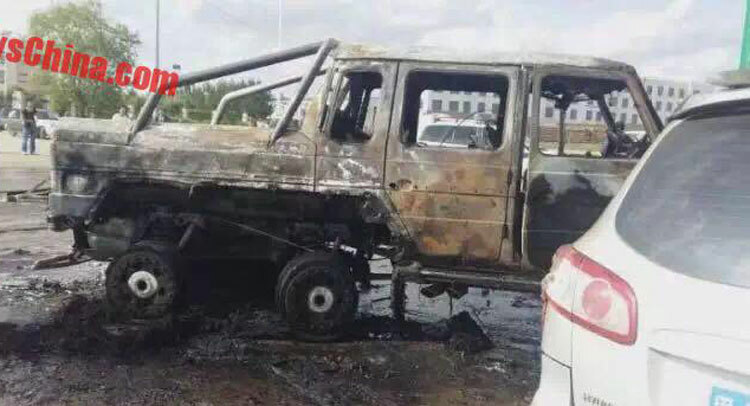 What about a burnt to the ground Mansory Mercedes-AMG G 63 6×6, then? This must be a sight to behold. Mercedes fans might want to look elsewhere, as the following story will probably ruin your appetite, and it’s almost lunch time back in the U.S. 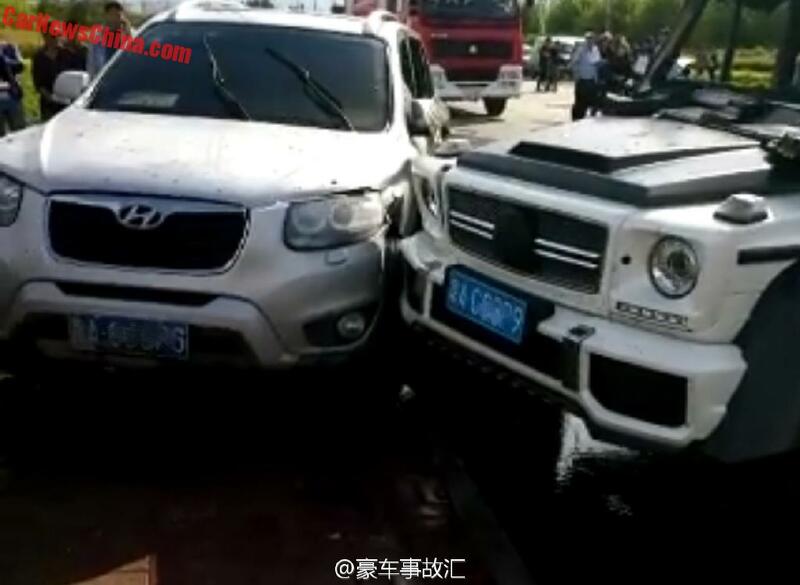 The imposing Mansory G 63 6×6 photographed by Chinese blog Carnewschina.com was basically reduced to a pile of smoldering metal following a rapid fire which engulfed the rear end, minutes after it has crashed into a Hyundai SUV. What truly happened is not yet clear, as the front of the Mercedes is clearly not heavily damaged and the accident seems to have been a minor fender-bender. A gas pipe leak seems at fault here, but that is also just a wild guess, since the force of the impact couldn’t have been great enough to cause such a defect. The result is doubtless, though. The butch Mansory Mercedes-AMG G 63 6×6, probably worth in excess of 500.000 dolars is a total write-off. R.I.P!